Anyone else love Beauty and the Beast? What's your favorite Disney movie??? Loved making this #Princess #Disney #Cake with my friend Sofie Dossi! We used a lot of decorating tips and tricks to complete it. Thanks for watching! Subscribe for more videos. 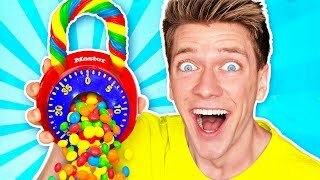 REBECCA ZAMOLO'S FUNNIEST AND CRINGIEST MUSICAL.LYS!! 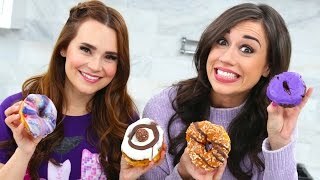 VANILLA vs. CHOCOLATE CAKE CHALLENGE! My Dog Tries On Halloween Costumes!! + Halloween House Tour! PANCAKE ART CHALLENGE!!! Summer EMOJI Edition w/ iJustine! TRYING DIFFERENT FACE MASKS w/ iJustine! CAKE DECORATING WITH A BLIND GIRL ft Molly Burke! 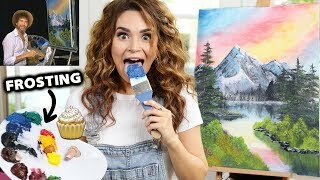 I Tried Following A Bob Ross Tutorial Using Frosting! 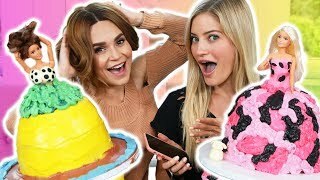 PRINCESS CAKE DECORATING CHALLENGE! w/ iJustine!